It is about this time when your garden vegetables are germinating, poking through their little starter pots and pellets, reminding you that transplanting time is on the horizon. It is at this stage that you may have realized that you haven’t prepared you’re the soil in your garden plot. Of course, all the advice you’ve received to take steps to replenish your garden soil in the fall has gone out the window. But there are some simple steps to take to revitalize your soil up to just 2 weeks before the transplanting date. 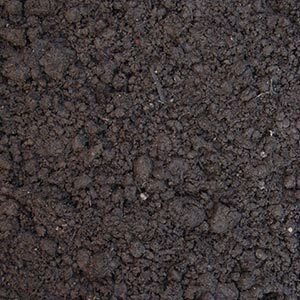 First, it is very important to understand what the texture of your soil indicates. Good healthy soil is a balance of clay, sand, and silt. And if your soil is too high or low in concentration any one of these components, it can lead to poor results. Ideal soil should easily be packed into a ball and just as easily break apart. It should feel soft and spongy. Start by turning the top 12 inches of ground, removing rocks and large pebbles. Do not work soil when saturated; this will inhibit oxygenation and promote more of a hard pack when it dries. Also, be sure not to over-till, as this will compromise the soil structure. The idea is to “fluff” the soil, allowing it to breathe and allowing the roots of your plants to easily form. For extremely, hard-packed, clay-heavy soil, consider adding small portions of sand to help dry and break it up. Here is where you want to refeed your soil. We want to focus on replenishing the macro nutrients— Nitrogen, Potassium, and Phosphorus (NPK)—and then we can add our micronutrients. We recommend obtaining a small amount of compost, relative to the size of your plot, and working it in which will increase NPK levels. Add 2 to 3 inches of compost on the surface of your plot and till it in. Commercial composts have been known to be high in Phosphorus, so you may need to supplement your nitrogen by either adding coffee grounds or working-in clover weeds. Both Mittleider Magic Micro-Mix and AZOMITE are great micro-nutrient additives that provide a profusion of nutrients to help your plants thrive. 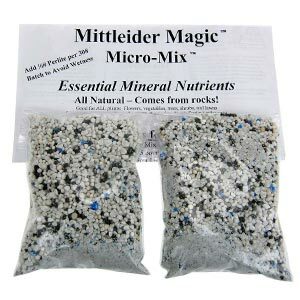 Mittleider Magic Micro-Mix is a natural formula of essential plant nutrients mixed with Epsom salt as a weekly feed for your plants. 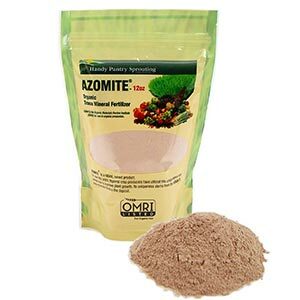 AZOMITE is a natural deposit of mineralized complex silica substance that contains over 70 minerals beneficial to plants for growth and vitality. Adding some to your compost can have noticeable differences in the end product as reported by Dr. Terry A. Tindell in a study by Utah State University who asserted that tomato plants treated with AZOMITE saw an increase in tissue levels and yields. And while you are ordering supplies for spring, check out cover crops and cover-crop mixes to be planted in late summer or fall. Late summer cover crops include collards, daikon radish, buckwheat, and clover. The idea is to allow them to grow wild throughout autumn and let the on-coming cold months kill the plants, returning their organic material back to the ground, giving you garden bed full of nutrients for next spring. If you are planning on planting winter cover crops, check out our full article on the subject.